Thanks so much for thinking of me.. Thats so sweet.. It's an awesome card! Happy New Year 2@10 !!! I'll have a few spoonfuls of that! Thank you for the wishes. Same to you this season! Dear Napomo, thank you for the lovely card and wishes! 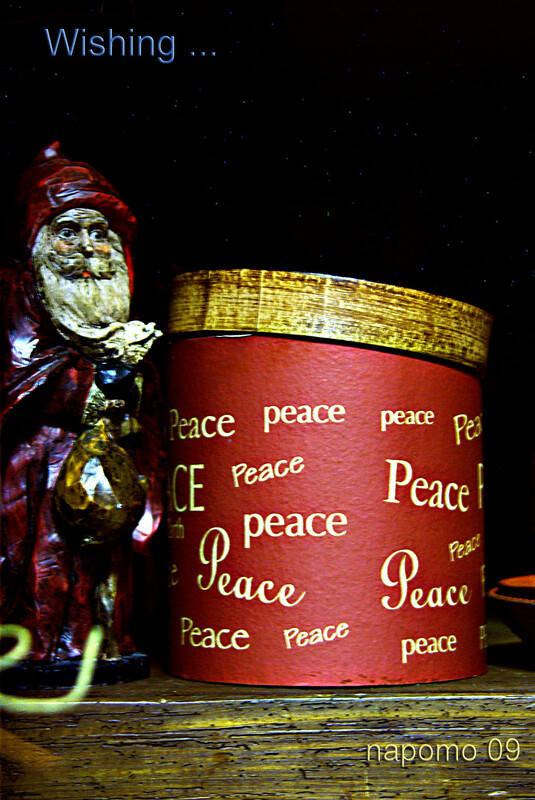 Have a wonderful Christmas and best wishes for 2010. Snappie sends his special greetings to the black dog with the long ears! Thanks your greetings and let us look forward to a blessed and more peaceful 2010! A big woof from all of us to you and yours, including Dalsky, too. Thank you Napomo for the card and for your friendship. Peace.